Provide comfort for the family of Louise Gary with a meaningful gesture of sympathy. 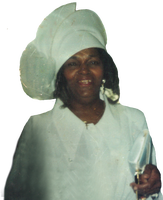 Mrs. Louise Harris Gary, 87, of 427 Crosby Circle, Greenville, South Carolina, passed on Saturday, March 30, 2019, at home. She was a daughter of the late Matthew and Lula Harris Foggie. She was preceded in death by her husband, James Wesley Gary; a son, Bobby Dean Shell, Sr.; a daughter, Annie Mae Brooks; and seven sisters, Sweetie Bell Workman, Eliza Wharton, Macy Wharton, Lillie T. Coleman, Cora Lucy Wells, Henretta McGowan and Mary Johnson Deese. Left to cherish many fond and loving memories are three daughters, Nanette Shell Davis of Greenville, Ruth Novella Shell of Easley and Valerie Gretta Hudson of Greenville; four sons, Joseph Gary of Fountain Inn, James W. (LaCheri) Gary, II, of Augusta, GA, Herbert Lewis Shell of Greenville, and Willie Lee Shell of Charlotte, NC; one sister, Alberta Stenhouse of Fountain Inn; one brother, James Deese of New York; and a host of grandchildren, great-grandchildren, great-great-grandchildren; other relatives and friends.